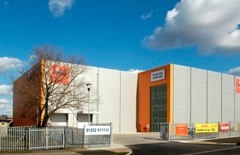 Two self storage centres for householders and business users in Fleet, Hampshire. 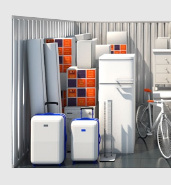 Lok'nStore has two centres in the Fleet area that provide self storage to householders, renters and business owners. Both these centres can be easily reached and are the only modern facilities in the Fleet area. 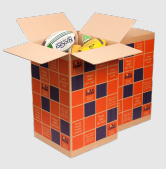 To declutter their property prior to a house sale or just simply to create more space in the home. To clear a room / area before the commencement of renovation, building or redecoration works. Also serving Church Crookham and Crookham Village. Farnborough: Head out of Fleet, past the train station and then Fleet Pond via the Fleet Road. Lok’nStore Farnborough is on the Hawley Lane at GU14 8JE. Aldershot: Leaving Fleet via the Reading Road South, then Bourley Road towards Aldershot.